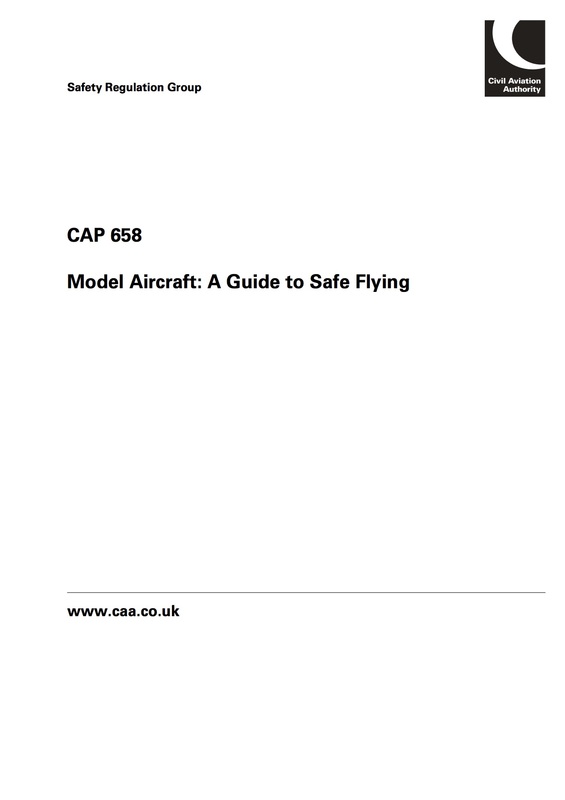 This CAP offers guidance for model aircraft used for sporting and recreational purposes. The legal controls over model flying are governed by the UK's Air Navigation Order (ANO), which was re-instated in ANO 2016 and later amended in 2018. On 30 May 2018, the United Kingdom Government published an amendment to the UK Air Navigation Order 2016 (ANO) which contains its changes to the legislation regarding the operation of small unmanned aircraft. The amendment is published as Statutory Instrument (SI) 2018 No. 623, entitled ‘The Air Navigation (Amendment) Order 2018. This can be found at: www.legislation.gov.uk/uksi/2018/623/made) . Some articles (parts) of the amendment came into force on 30 July 2018, but others take a further 16 months, coming into force on 30 November 2019 (including compulsory registration of certain models, primarily drones). (4A) Paragraph (4) does not apply to any flight within the flight restriction zone of a protected aerodrome (within the meaning given in article 94B). (1) The SUA operator must not cause or permit a small unmanned aircraft to be flown at a height of more than 400 feet above the surface, and the remote pilot of a small unmanned aircraft must not fly it at a height of more than 400 feet above the surface, unless the permission of the CAA has been obtained. (2) This article does not apply to any flight within the flight restriction zone of a protected aerodrome (within the meaning given in article 94B). (1) This article applies to a flight by a small unmanned aircraft within the flight restriction zone of a protected aerodrome. (ii) a line that is 1 km from the boundary of the aerodrome (the “1 km line”). (b) the remote pilot of the small unmanned aircraft must not fly it in the Inner Zone or the Outer Zone, if the flight breaches a flight restriction set out in the entry in column 3 of the table which relates to that zone in those circumstances. (4) The 1 km line is to be drawn so that the area which is bounded by it includes every location that is 1 km from the boundary of the aerodrome, measured in any direction from any point on the boundary. (d) an aerodrome that is prescribed or of a prescribed description. Model aircraft with a mass of more than 20kg are termed ‘Large Model Aircraft’ - within the UK, large model aircraft may only be flown in accordance with an Exemption from the ANO, which must be issued by the CAA. 1) The CAA issued a ‘Permission’ to allow BMFA members to continue operating ‘conventional’ model aircraft (excluding multi-rotors) weighing less than 7Kg at heights in excess of 400ft, under certain circumstances. This is highly relevant to gliders. The full text of this Permission can be viewed HERE. 2) The CAA has also issued an ‘Exemption’ to allow BMFA members to operate ‘conventional’ model aircraft (excluding multi-rotors) weighing less than 3.5Kg at heights up to 1000ft using First Person View, under certain circumstances. The full text of this Exemption can be viewed HERE.